I know many of my reader has written in and asked, ‘does the world need another Dare album?’. Well, dear reader, please read on…..
Dare are probably best known for their singer/songwriter Darren Wharton (who first rose to fame in the early eighties playing keyboards with legendary Irish rock band Thin Lizzy). Today Dare are one of the most respected and innovative melodic rock bands on the AOR scene, and have gained cult status among AOR fans throughout Europe, the UK and the world. The band’s debut 1988 A&M album ‘Out Of The Silence’ recorded at Joni Mitchell’s Bel Air Studio in Los Angeles, and produced by Nickelback producer Mike Shipley is still widely regarded today as one of the all time great AOR albums. Darren joined Philip Lynott’s Thin Lizzy at the tender age of eighteen and enjoyed 5 great years with the band touring extensively, alongside renowned guitarist Scott Gorham, drummer Brian Downey, guitarists Snowy White (Pink Floyd), Gary Moore and John Sykes (Whitesnake). Working closely with Philip Lynott, Darren also recorded classic Thin Lizzy albums, such as ‘Chinatown’, ‘Renegade’, and ‘Thunder and Lightning’ on which Wharton co-wrote 3 songs, including the hit single ‘The Sun Goes Down’. Sadly, the latter was to be Thin Lizzy’s last studio album, and in 1986 Darren Wharton returned to his home town of Manchester where, as an outlet for his creative flare for song writing, working with young Oldham guitarist Vinny Burns, formed his own band, Dare. 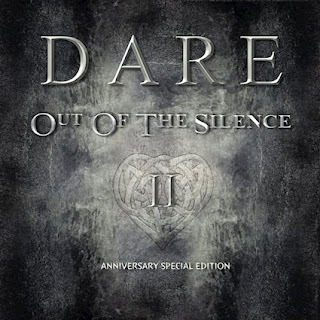 Following the debut ‘Out Of The Silence’, Dare’s second offering was the explosive ‘Blood From Stone’ produced by Keith Olsen (Whitesnake, Scorpions).Sadly this was the last album recorded for A&M Records after the company was sold to Polygram in 1993. 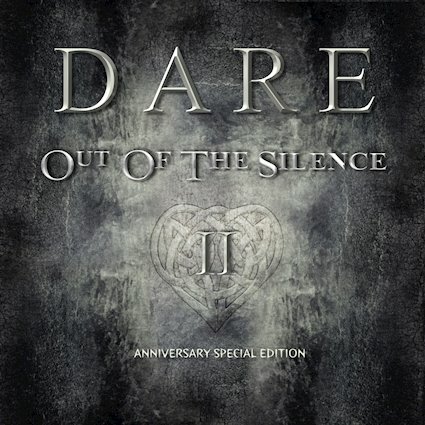 Now 2018 promises to be another great chapter in the book of Dare, as the band celebrate their 30yr Anniversary with a Special Edition re-release of their debut classic album ‘Out Of The Silence’. Out Of The Silence II has been completely re-recorded and in Wharton’s own words “has taken on a new life”. FM did it a short while back with ‘Indiscreet’, and in this instance DWs made a good decision. I love the original album, but the production of this sounds so much better in parts and Vinny’s guitar frippery is right up front and centre. What’s not to bloody like?? So, whilst it isn’t anywhere near as heavy as ‘Blood…’, ‘Abandon’ has a decent production, and Vinny Burns’ guitars are front, back, left right and centre. Wharton’s voice has not changed since the 80s so that’s another good sign as it could have gone South. The original songs are a fresh as they were in the 80s, and that is all down to some great songwriting (and playing). ‘Into the Fire’ has better vocals than the original as they came across a little weak, but now the ‘boost’ button has been pressed and its all very good. ‘Nothing Is Stronger Than Love’ but I personally prefer the original chorus to this new version. 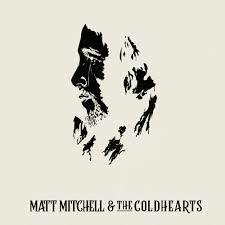 I can see the benefit of re-recording songs if they felt the originals were weak due to what was available at that time, and some songs here do benefit from the modern approach – ‘Into the Fire’, ‘Under The Sun’, ‘Runaway’, and ‘Return the Heart’, but the real classics from their debut – ‘Abandon’, ‘The Raindance’, ‘King Of Spades’ (even more Celtic-ier than before), ‘Don’t Let Go’ and ‘Heartbreaker’ don’t really feel as it theres any benefit as they are ingrained in my psyche. And that’s part of the issue. The original album is so embedded in my mind that I go to sing the original versions. OK, it was not a perfect album, and production levels are better now and cheaper than the 80s, but it was an iconic album from that period. However, on that note I would say it’s definitely a worthy addition to a current Dare fans collection. I myself prefer to sit with the original. It's a great way yo celebrate the original album and give their fans something a little different to the original. 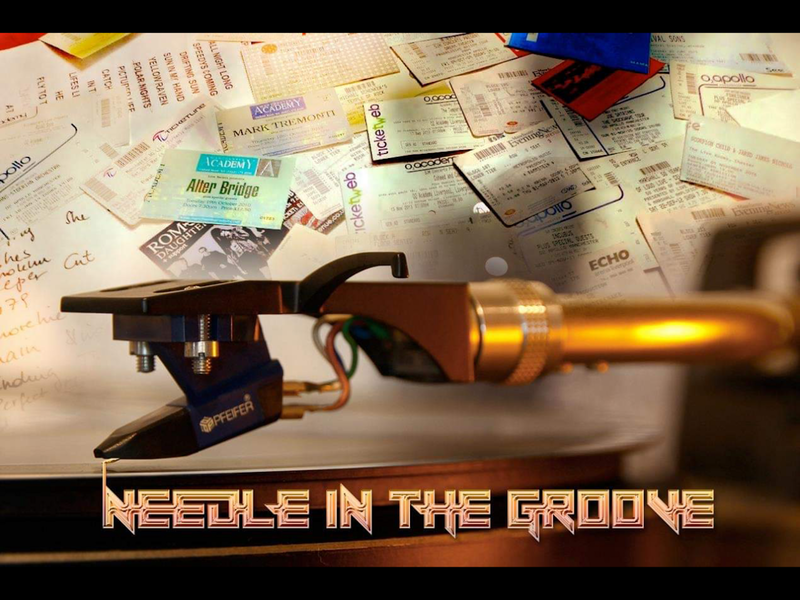 Great songs are always great, they dont always require tweaking. Does the World need a remake of a Dare album? Not really. But it’s better than a lot of the (more) Celtic influenced music that has been Dare the past few years. I got the Celtic/Lizzy influence in the earlier years, but it was time to separate from Lizzy and forge out a path of their own. I worked in Scotland for 6 months in 1989, but I don’t speak with a Scottish accent. My only worry is that in 2021 we will see the 30th anniversary of the fantastic ‘Blood From Stone’, an album that Darren thought was 'too metal'. Just don’t go and revisit this and replace the great guitar work with frilly shirts and an additional parpy keyboard to ponce it back to the soft and fluffy AOR levels ofthe 80s. Darren, leave it!